When nothing but a three-row SUV will do, you’ve got to check out the 2018 Toyota Sequoia. It’s all new and ready to serve you and your family with style, spaciousness, and a big dose of Toyota safety. The Sequoia is built so tough and powered so well that it can tow up to 7,900 pounds with the right equipment. Toyota guarantees performance with an iForce V8 engine. This hard worker cranks out 381 horsepower. Torque is rated at 401 lb.-ft. 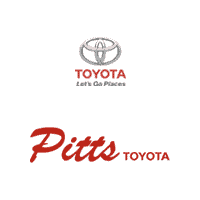 Learn about deals at Pitts Toyota dealer serving Dublin, GA. The SR5 starts you off with so much stuff you may not climb the ladder. It has a driver’s power seat, automatic climate controls, and full multimedia system. TRD Sport editions trim the seats in black leather and add a contrast stitch. Helping your family deal with Georgia’s sunniest days, leather-clad Limited editions have second-row and third-row retractable sunshades. These premium models also stress utility with a power liftgate and a power-fold third row. The 2018 Toyota Sequoia Platinum edition has ventilated front seats, a favorite escape from our hot summers. Find financing. The 2018 Toyota Sequoia monitors your blind zone, warning you when a lane change wouldn’t be safe. Also helping you with side traffic dangers, there’s a standard lane watch system. A forward collision alert and a pedestrian watch may trigger an emergency automated braking system to slow or stop the vehicle. A sonar parking assist helps you manage in tight spots. This package of standards is hard to find on rivals. You’ll find the 2018 Sequoia at Pitts Toyota dealer serving Dublin, GA.